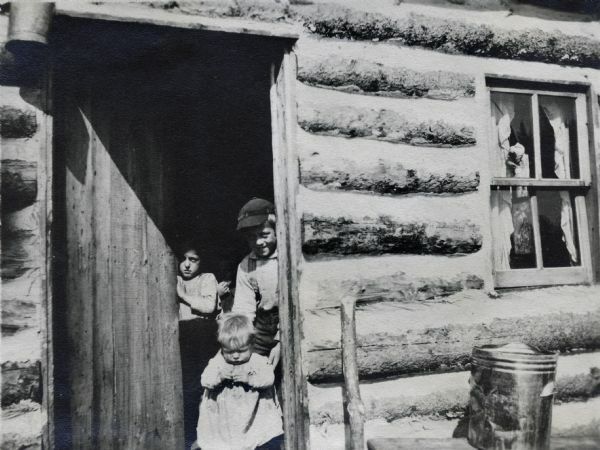 Three children peek out of the door of a log cabin. There is an ash can to the right of the door. Photograph probably taken by Lincoln County public Nurse, Theta Mead, during one of her visits to a rural area.